Our Black Fruity Virgin Olive Oil is richly flavored and perfect to use as a finishing oil in your cooking. 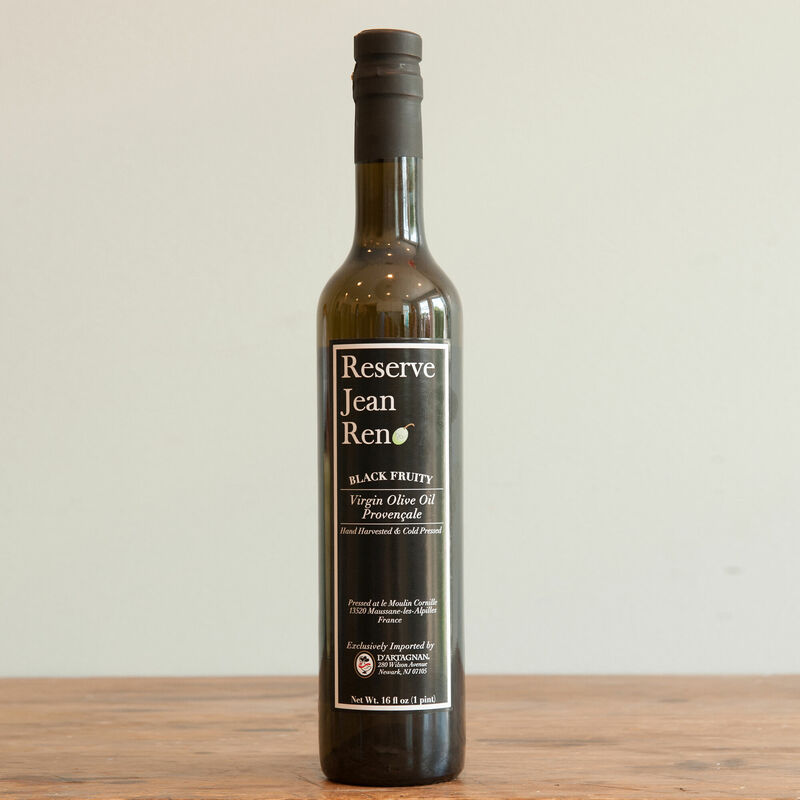 Enjoy the true taste of France with our olive oil from the Provencal orchards of actor Jean Reno. Made with ancient techniques, they are silky and smooth with subtle aromas of terroir that will hook you forever on French olive oil. Picholine olives are added to the mix of Salonenque, Beruguette, Grossane and Verdale des Bouches-du-Rhone olives.